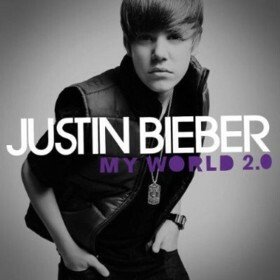 Baby is a song by Justin Bieber in the Pop genre. It was released in 2010 by the Island, RBMG label. The artist's official site can be found at www.justinbiebermusic.com. Bieber Baby is so adorable! Baby Baby Baby oh, Baby Baby Baby Oh...what a fantastic song. Catchy beat, awesome vocals and adorable singer. Recommended to all the Bieber babies out there :). I just watched the music video on youtube on the advice of my girl pal and it was worth it...I am now one of the 350 million viewers on youtube and have Bieber fever. Justin Bieber is the best young singer on the planet today. Whoa baby Bieber...I am so glad that he was discovered by the great Usher...oh and what dance moves Bieber has as well....so entertaining to all the younger fans out there..reminds me of Ushers smooth moves!